Ice cream is a favourite dessert or refreshing snack during the hot summer season. 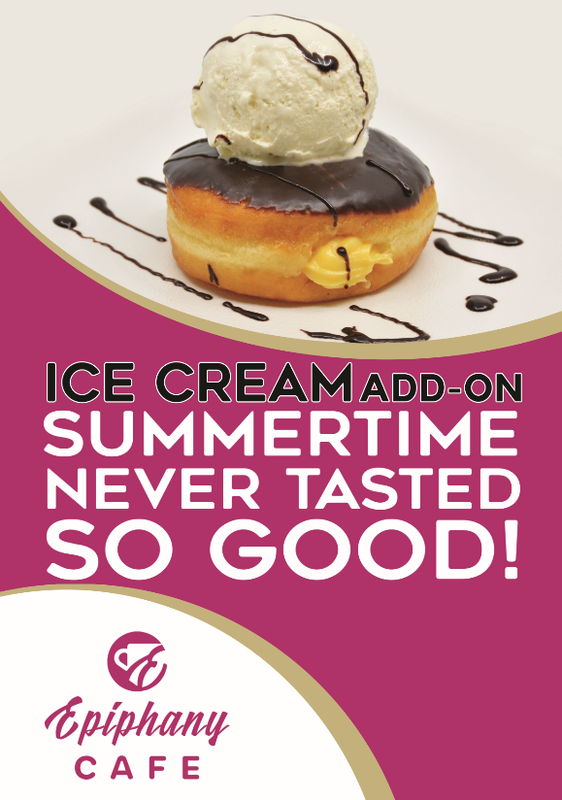 Make it sweeter with ice cream on our donuts and drinks to create a sweet and refreshing experience in store or on the go! Ice cream can be added to our drinks e.g. Frappe, Ice Drinks, Franuts & Smoothies. Adding ice cream on cold drinks gives extra coldness and creaminess. Perfect for the hot weather! Each scoop of ice cream is only $2, and can be ordered ala carte.